Twitch has announced that the IRL and Creative categories will be removed in favor of more specific categories, while Communities will be replaced with Tags. Some of the biggest complaints I’ve heard from streamers are the need for the IRL category to be made more specific and the Creative category to get more attention. It looks like Twitch has heard those complaints as well and is finally taking some action on it. According to new information on the Twitch Trello account, the following changes are expected to hit the streaming service in mid-September, which include the creation of new categories and the removal of communities. With so many streamers on Twitch, we need to give you better ways to describe your stream when you go live. In mid-September we will remove IRL and Creative as categories and add more than 10 new categories, which will let you better describe the content of your streams. These categories will be added to the Browse page, which will be updated to show gaming and non-gaming categories in a single view. You can see the list of categories below, and share your feedback or suggestions for additional categories here. We are also saying goodbye to Communities and introducing Tags, which will let you describe your stream in even more detail beyond the category you’re streaming. Art – For all the artists creating paintings, illustrations, animation, comics, photography, and more, whether you’re using digital or traditional methods or techniques. Hobbies & Crafts – Use this category when you’re crafting real world objects or working on DIY projects. Includes making costumes, sewing, sculpture, LEGO, woodwork, metalwork, and more. Food & Drink – From cooking to eating and everything in between, this category is for anything related to the creation, culture, or consumption of food and drinks. Music & Performing Arts – Use this category when you’re dancing, singing, composing music, playing an instrument, and more. Beauty & Body Art – Use this category when you’re streaming makeup, skincare, bodypainting, tattooing, and more. Science & Technology – Use this category when you’re streaming activities like software development, game design, science experiments, engineering, or robotics. Just Chatting – This category is for conversations between streamers and viewers, like when you’re warming up at the start of your stream, doing Q&As, or live vlogging. Travel & Outdoors – Whether you’re exploring a new city or just hanging out in your hometown, this category covers all your walking-and-talking needs. Sports & Fitness – From team sports to training solo, this category includes everything you’d do in a gym and more. Tabletop RPGs – Finally a place to stream all the tabletop RPGs you love. Special Events – This is where you’ll find big events like TwitchCon, E3, and PAX, as well as special announcements from game developers and publishers. Talk Shows & Podcasts – This category name gets an update for all the podcasters out there. ASMR – A centralized place for ASMR content. Why combine games with non-gaming categories? We learned from Communities that having multiple directories made it harder for non-gaming streamers to build an audience and prevented streamers from exploring the full range of content they were interested in streaming. Combining games and non-gaming categories into one directory improves visibility for non-gaming streamers. Tags will let viewers filter for the categories and streams they’re interested in watching, which makes a mixed directory more manageable. Why split up IRL and Creative? Creative and IRL have become catch-all categories that don’t help describe the content of a stream. New categories give you more accurate ways to describe your stream and help viewers find you. Tags will let you add even more detail beyond the category you’re streaming. With so many streamers on Twitch, we need to give you better ways to describe your stream beyond just the game or category you’re streaming. In mid-September we will add tags to Twitch so you can help viewers see what makes your stream unique, even when you’re streaming a popular game or category. We are also saying goodbye to Communities and applying what we learned from Communities, Creative, and IRL to introduce more than 10 new categories to Twitch. 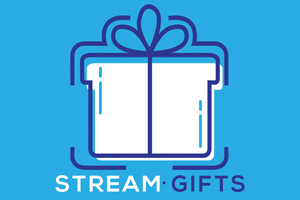 Our goal is to connect you to the viewers who are most interested in what you’re streaming and are most likely keep coming back to watch you again. Viewers will be able to filter by tags within a directory, or across different games from the Browse page, making it easier for them to find the types of streams they’re interested in and hopefully discover new streamers along the way. Choosing what to watch gets harder as Twitch gets bigger. In May 2018, you could browse Fortnite streams and see as many as 18,000 different live channels in the directory. That’s a 6x increase even from just last year. With that kind of growth, we can’t expect viewers to read every stream title in a directory, so we need new ways to help viewers figure out which stream they want to watch. Tags will have a common structure that lets viewers create filters and learn more about each stream in a consistent, easy to see way. Communities were one solution for giving viewers information to help them decide what to watch, but viewers weren’t able to see that information while browsing within a directory they were interested in. The open nature of Communities also led to confusing overlap between different Communities or between Communities and games. When we learned that less than 3% of Twitch viewership came from users who found streams using Communities, it was clear that Communities were not helping viewers find new streamers to watch. As a result, we are saying goodbye to Communities and introducing Tags, which let viewers filter within directories to find streams and discover new channels based on what they’re interested in watching. Tags will describe your stream everywhere viewers can find it: directory pages, the homepage, search, channel pages, etc. Directory pages and the Browse page will be updated to let viewers filter by tags. Most tags will be manually selected by you, but some will be automatically applied by Twitch – For example: we’ll apply genres to games, and we may apply tags for certain in-game features we automatically detect. Tags will not be user-generated, but you will be able to suggest new tags. Tags are not tied to a specific game or category. You can select whichever tags describe your stream best, whether you’re playing a game or streaming non-gaming content. Tags are meant to be objective, but we realize not all self-identifications are objective. As a result, we will work with streamer communities, starting with one of our active LGBTQ+ community, to identify how self-identification should be integrated into tags. You will see an LGBTQ+ tag reflected in the list of tags available in September, and we look forward to hearing feedback from streamers on how we can incorporate self-identification into tags. The current list of tags that will be available when tags go live can be viewed here. Spinachee joins MopGarden to chat about early streaming days, gaming, the impact of a strong community, and attempting to stay healthy. These 15 trailers from San Diego Comic Con have us the most hyped! Here are some top tips for maximizing your gaming room experience.